Dwarf planet Haumea is a frozen oblong body much like a misshapen rugby ball. Though very little is know about this remote dwarf planet its most interesting aspect may well turn out to be the fight over its discovery. Observations from the Keck observatory indicate that Haumea has an average width of just over 1,400 kilometres (under 900 miles). The dwarf planet is just six per cent the mass of our own Moon. 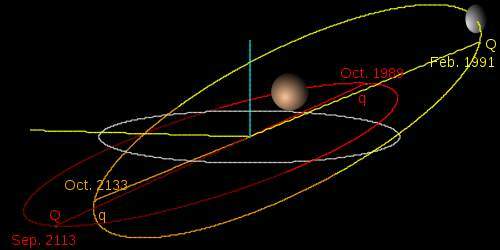 Dwarf planet Haumea orbits the Sun at an average distance of 43 Astronomical Units (AU). One AU is the distance between the Earth and the Sun. It takes Haumea 283 years and four months to complete one trip around our star. One day lasts just under four Earth-hours on the dwarf planet. It is this rapid rotation that results in its unusual egg-like shape. The temperature on Haumea is believed to be less than 50 degrees Kelvin (minus 220 degrees Celsius). The fact that crystalline water ice is present on the surface of the dwarf planet indicates that Haumea recently underwent resurfacing. Its surface is as bright as snow. 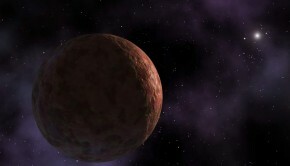 Dwarf planet Haurmea has two known moons. Hi’iaka and Namaka were discovered in early 2005. Both were named after the Hawaiiean goddess Haumea’s daughters. 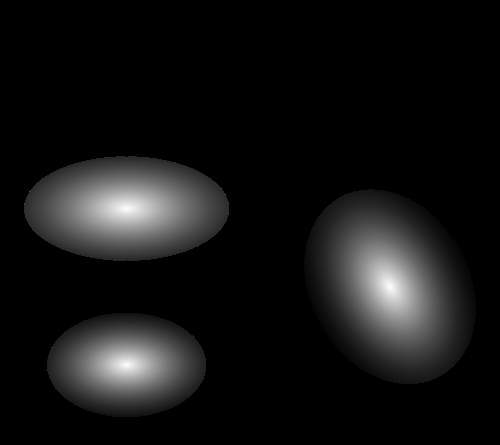 One of the most interesting aspects of Haumea has got absolutely nothing to do with the actual dwarf planet itself. Instead it has everything to do with the fight over its discovery. Michael Brown, the team leader at Caltech, originally discovered dwarf planet Haumea in December 2004. Brown and his team decided to put off officially announcing the discovery until they could determine the exact nature of what they had found. Meanwhile at the Sierra Nevada Observatory in Spain, Jose Luis Ortiz Moreno and his team announced in July, 2005, that they had discovered Haumea. The Caltech group originally conceded the credit to their compatriots in Spain but discovered some peculiarities in the accessing of their observation logs. Examining the situation in more detail Brown realised that it was the Spanish observatory that were the ones accessing the logs. As Brown delved deeper he realised that the files that Sierra Nevada Observatory had downloaded gave enough information to determine Haumea’s location. Ordinarily this would not be enough to claim skulduggery. However, Brown also found out that Spanish team had scheduled telescope time immediately after accessing the logs. A formal complaint was brought against Ortiz and his team. Normally the person who discovers a dwarf planet gets priority in naming the body. Nonetheless, the Committee on Small Body Nomenclature ruled in favour of Michael Brown’s suggestion of Haumea. Ortiz and his team were credited with the discovery of the dwarf planet. The dwarf planet Haumea was initially given the temporary name of Santa due to its discovery occurring a couple of days after Christmas Day. The dwarf planet was eventually named after the Hawaiian goddess of childbirth and fertility. Dwarf planet Haumea is thought to be the product of a massive collision between two large bodies. The presence of crystalline water-ice should not occur on a surface as cold as Haumea. This has led scientists to conclude that Haumea is a member of a group of object that formed from a common impact between two bodies. Models suggest that originally dwarf planet Haumea was over 1,600 kilometres in width (1,000 miles) and lost one fifth of its mass after the collision. Other scientists have put forward the possibility of a second collision that may have caused a much larger Haumea to lose a large portion of its mass. Visit Wikipedia for more information on Haumea. 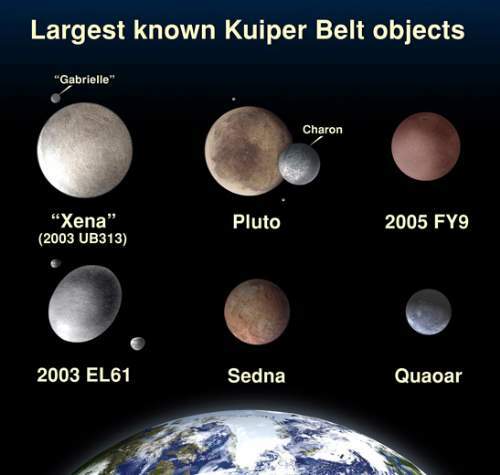 Check out Yellow Magpie’s The Kuiper Belt: Home To The Dwarf Planets for more insight into the frozen region of the Solar System.